MainAll NewsInside IsraelWill Jewish Home back joint list with Otzma Yehudit? Will Jewish Home back joint list with Otzma Yehudit? Jewish Home chairman confident alliance with National Union will be renewed for April election. But what about run with Otzma Yehudit? 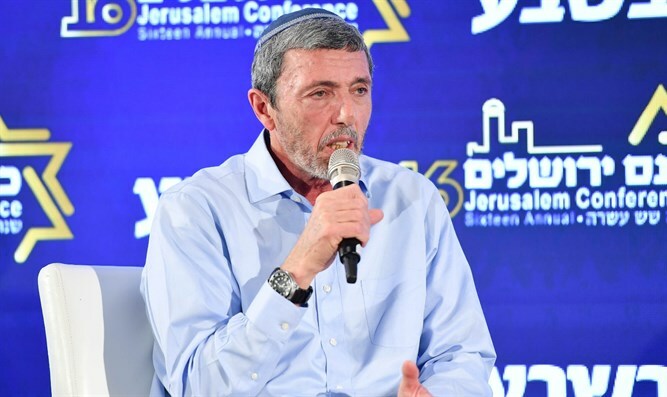 Jewish Home chief Rabbi Rafi Peretz expressed confidence Tuesday morning that his party would reach an agreement with the National Union faction for a joint run in this April’s Knesset elction. Speaking at the 16th annual Jerusalem Conference on Tuesday, Peretz, who was tapped to lead the Jewish Home party earlier this month after Naftali Bennett bolted to form the New Right, struck a reconciliatory tone towards the National Union. Peretz said he views National Union chief “Bezalel Smotrich as a friend, as a brother,” and vowed that the Jewish Home and National Union would run together. Over the weekend, talks between the two sides broke down, prompting Peretz to pursue a technical bloc with the Likud – an offer the Likud later declined. Following the rejection, the Jewish Home and National Union renewed their talks towards a joint bid. Peretz declined to say whether he would support a joint list with the Otzma Yehudit party, a faction led by members of the now defunct Kach party of Rabbi Meir Kahane.